The first violin part for Brahms' Academic Festival Overture, Op. 80 has been edited by Richard Roberts, concertmaster of the Montreal Symphony Orchestra. Robert's bowings, fingerings and other editorial markings have been added throughout the score. Brahms composed the Academic Festival Overture during the summer of 1880 as a musical "thank you" to the University of Breslau, which had awarded him an honorary doctorate the previous year. 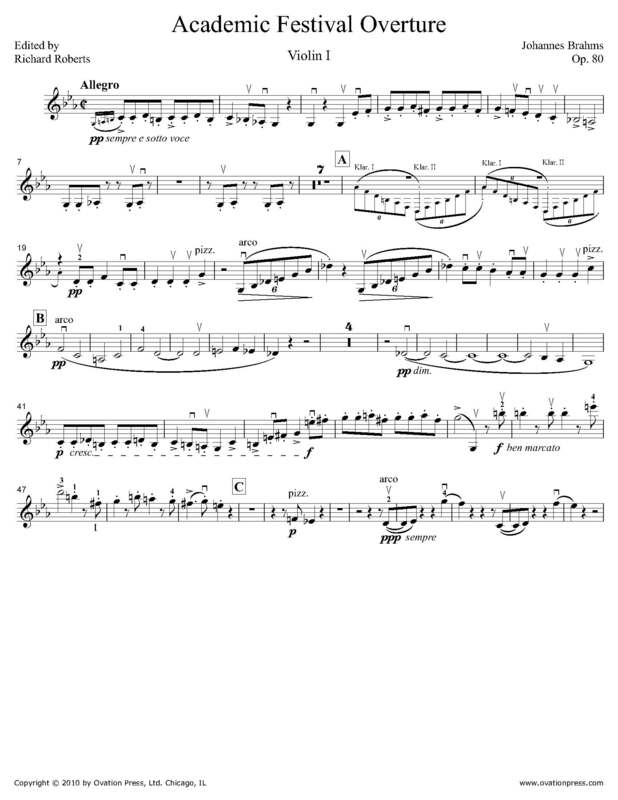 Download and print the score today to gain access to expertly edited Brahms' Academic Festival Overture violin fingerings and bowings from Richard Roberts!